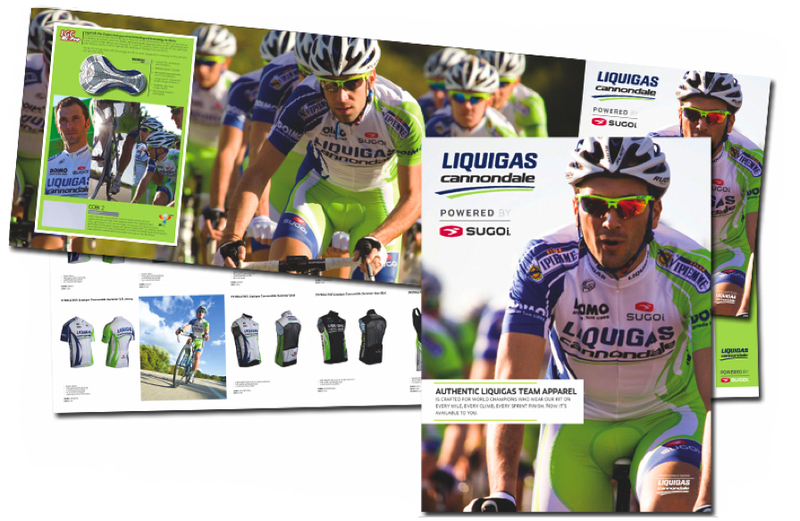 The first week back to the office was a week where creative services at SUGOI hit the ground running – or should it be pedaling, We held a sales conference in Europe, and we announced our place in cycling greatness by getting on board with Liquigas Cannondale as the technical apparel sponsor. We needed collateral (deliverables) for both. 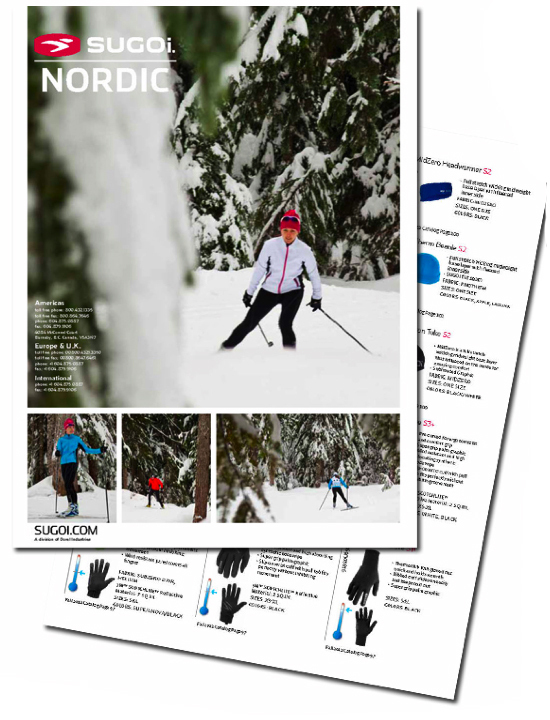 First off a Nordic sheet for the Europeans was essential, and was a long time coming – I think this project hits the cutting room floor more often than not so we were determined to make it happen. It included a quick photoshoot, a couple long days and one late night press check. Ryan and I didn’t stop there – Liquigas was calling and this was exciting – being a cycling fan makes this madness a little bit easier. Working with some great guys at Cannondale, our developers working over time, a photographer in Italy, some long days, and a late night press check followed by another visit to the printers in the early morning yielded a great product. I got a call from Munich yesterday, and both pieces were well recieved. Job Done. well – if I do say so myself. Previous Previous post: Designers have it easy.